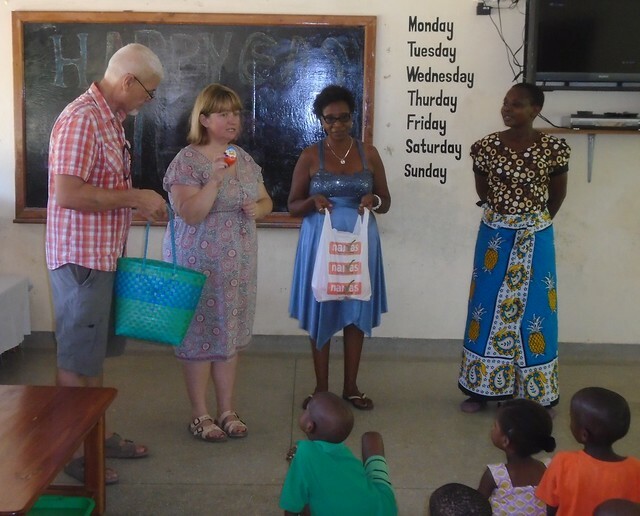 Easter is a very special time on our calendar at The Good Life Orphanage, this year both Papa Kevin & Mama Mary were in Mombasa and Emma our volunteer was with us to celebrate as well. 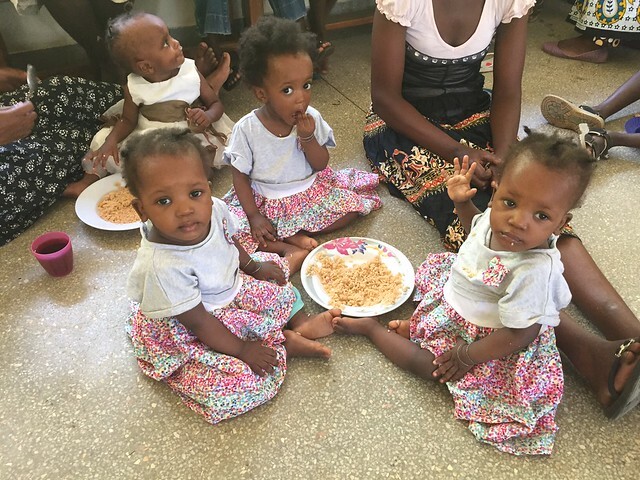 All the children were dressed in their Sunday best and all attended Church in the early morning with some going to the 6am Mass, the orphanage compound was a hub of excitement with everyone carrying out different chores. Katana set up the jiko for BBQ Goat and Mercy oversaw the making of the massive pot of Pilau, it was a military operation with our older girls & boys at The GLO co-ordinating the serving of the food. 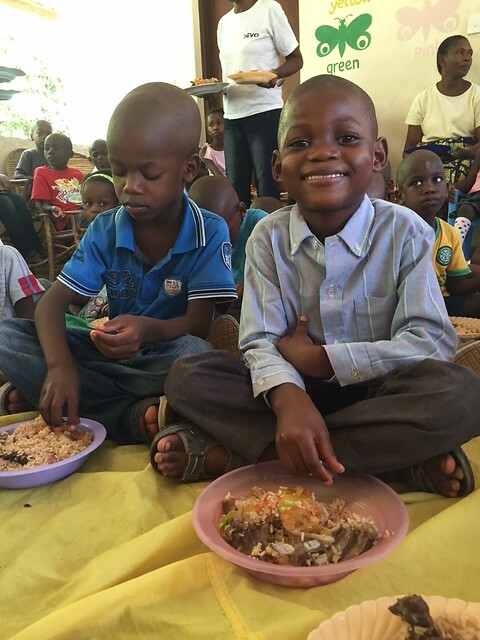 Everyone enjoyed the lunch and before the dancing started, Mama Mary & Papa Kevin explained to all the children that two very kind families had donated the money so that we could all celebrate Easter at The Good Life Orphanage. The Connaughton Family and Millie & Catlin McKenna had made a special donation to cover the wonderful lunch with sodas and a very special surprise, the children were all cheering as for the 1st time ever they saw a Chocolate Easter Egg. 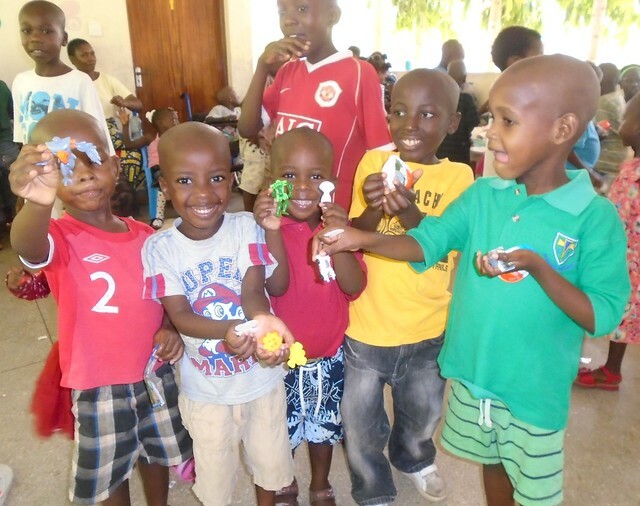 Valentine had done some research and discovered that we could buy Kinder Joy Eggs in Mombasa, each child was shaking with anticipation as they received their egg. 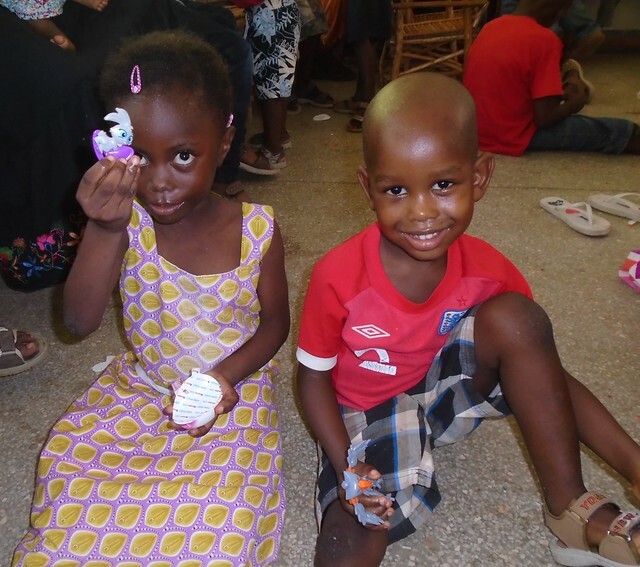 On opening the egg they discovered one side contained crispy cocoa wafer bites on milky & cocoa creams and the other side contained a toy, seeing the excitement on their faces was a joy to behold. 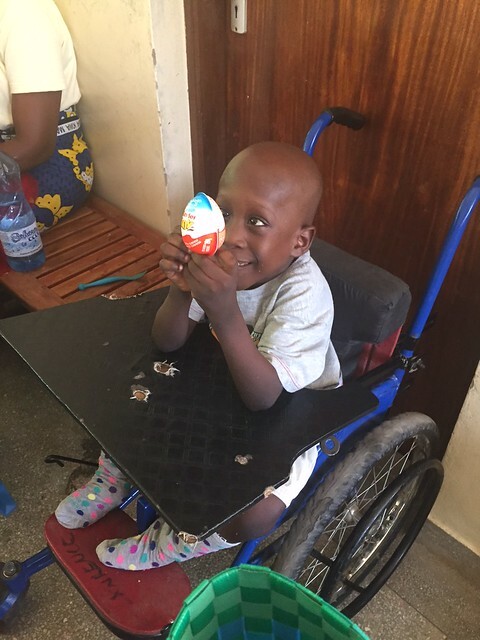 Everyone received a Kinder Joy Egg and Madam Mercy made sure one was kept for Collins for when he returns next week after his first term away at secondary school. 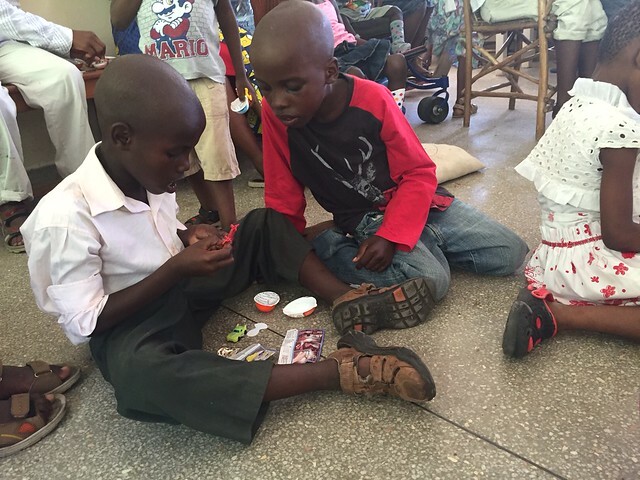 With over 60 children looking for direction on making the toys in the egg, it was bedlam but thankfully Derick from Maguire House was on-hand to assist the smaller children with the task at hand. 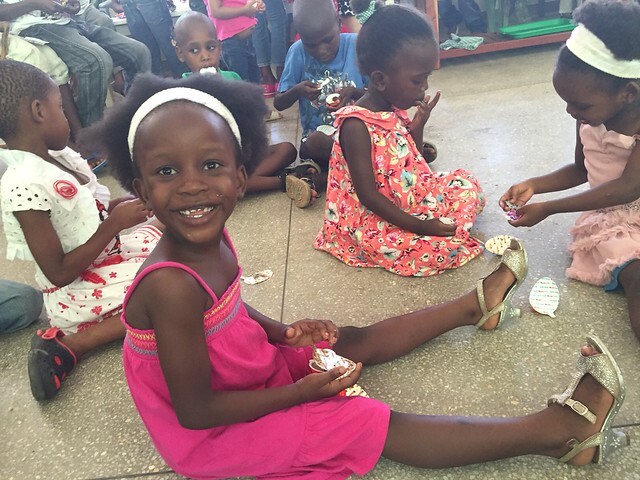 For our latest addition’s to our GLO Family it was the first time many had tasted goat and for all our GLO children it was the first time they received an Easter Egg, all came across to thank Mama & Papa for the food and for the Easter Egg. 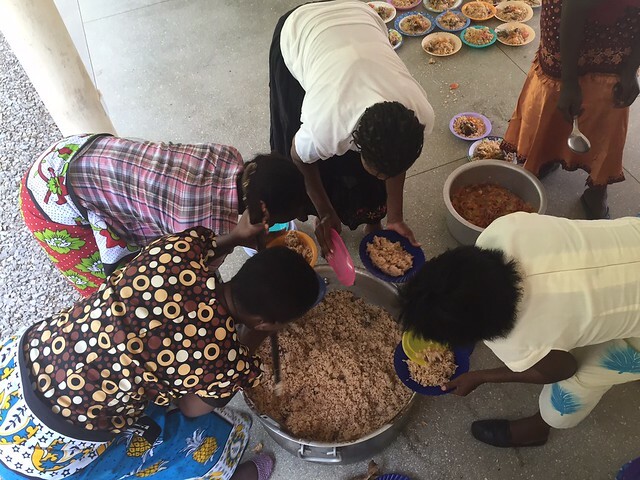 We are blessed with excellent staff at The Good Life Orphanage who ensured everything went like clockwork during the Easter Sunday Celebrations, we cannot describe the joy that was felt throughout the orphanage and it was testimony to the teamwork that exists between everyone involved. 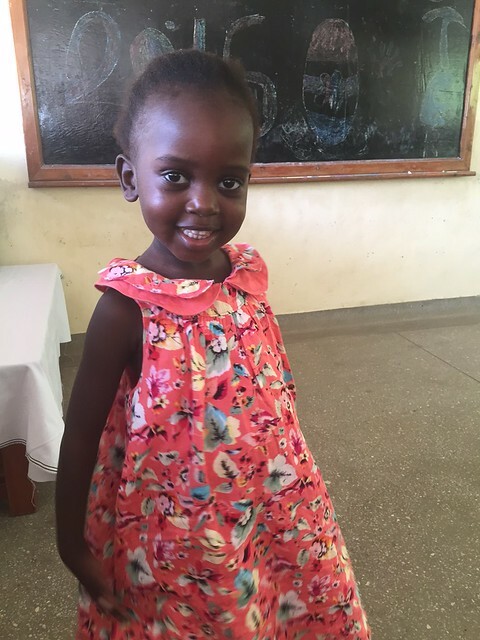 We are also eternally grateful for the amazing ongoing support our project receives and in particular the generous people who made the Easter Sunday celebrations possible. 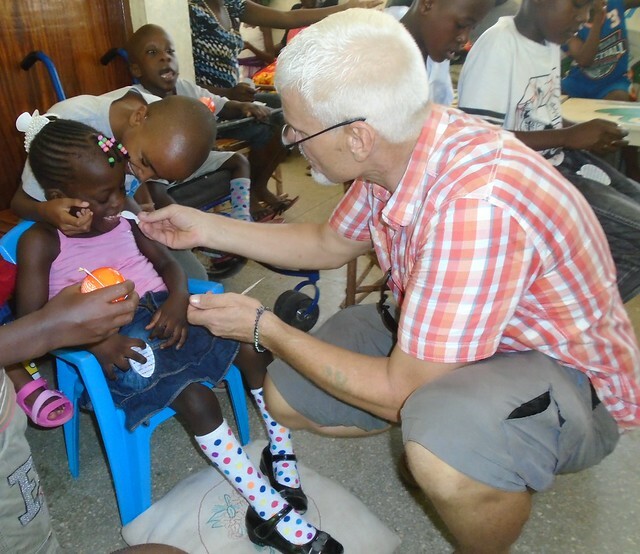 Vinny, Verity, Ellie & Little Vincent Connaughton and Millie & Catlin McKenna, you all made this day possible through your compassion and generosity, together we are giving these children back their childhood, Asante Sana.